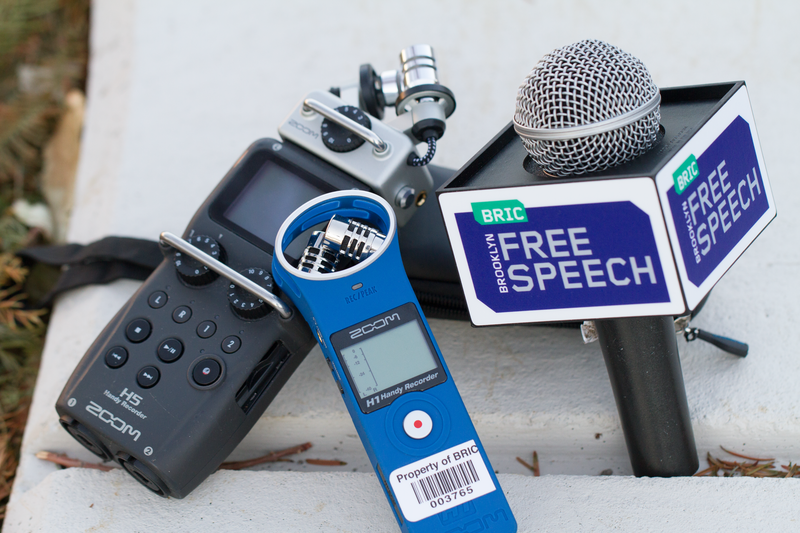 The BRIC Podcast Intensive will guide you through all of the stages of starting a podcast. In this class, a group of eight Brooklynites will be selected to write, produce, record, and edit a podcast episode (singular or pilot) on a topic or subject of their choice. Students will produce their show, assist their classmates, and develop a cohort that can work together after the class ends. We'll review non-fiction storytelling, podcast production practices, interviewing, choosing subjects and locations, recording techniques, studio practices, and editing on Adobe Audition. The course will culminate with a special public listening event for your podcast which may also air on our channels. Certification courses are for Brooklyn residents only. Not a Brooklyn resident? No problem! Feel free to register for any of our non-certification courses. Please note that to be accepted into the class you need some experience editing audio and recording with field equipment. There are no courses scheduled at this time. ​Money orders and checks (made out to BRIC) are accepted when registering for the class in person. Credit card payments are accepted online only. Please arrive at least 15 minutes prior to the first class to complete your registration. Please provide proof of age with a valid, unexpired government-issued photo ID. This class is open to students over the age of 18 only. FOR CERTIFICATION COURSES ONLY: Proof of your Brooklyn residency (such as a utility bill listing your name and address) that is no more than 2 months old. Failure to alert us to your absence on the first day of class will forfeit your seat and a refund will not be issued. Please call or email our education department at 718.683.9338 / classes@BRICartsmedia.org for any questions about payments, spot availability or for further assistance. If you register for a course and are unable to attend the first session, you must contact our education department 24 hours prior to the start of the first class at 718.683.9338 / classes@BRICartsmedia.org. ARE ALL OF THE CLASSES SOLD OUT? Please sign up for our waitlist and we'll contact you if there's an opening.